A couple of years ago I contacted Professor Jane Rogers, author of Island, (1999) who teaches MA and BA Creative Writing at Sheffield Hallam. She told me the manuscript drafts of her novel were held by Murray Edwards College, Cambridge and that the drafts show the working changes and revisions, some of which were handwritten. I had kept this nugget in one of the tiny chambers of my brain to be referred to occasionally and as a reminder that closer reading of care leaver texts would be needed at some stage. Before I go any further I have to explain that Island is about a care leaver. I first came across the book and Jane Rogers, as she was then, whilst studying at Middlesex University. She had come to give a talk about the novel. Apparently the publishers weren’t happy with the protagonist. Rogers had become ‘…obsessed with the idea of trying to write a character, Nikki, who would leap off the page and drag the reader into her own angry and peculiar world, a first-person narrator whose voice would be so insistent that the reader, who might neither like nor sympathise with her, would find it difficult to stop listening to her.’ So much so, the publishers wanted Rogers to tone the voice down, but rather than do this Rogers moved publishers. A very brave thing to do and probably not something that a writer could get away with in the current climate. Protagonist Nikki Black, is intent on punishing the mother who abandoned her at birth and goes to the island with only one aim in mind: revenge. She wants to murder her mother. This is more than a crime novel, it is a book of myths and fairy tales, of lost mothers, of pain, of flying, of hope and ultimately of sacrifice and love. It is one of my favourite books. 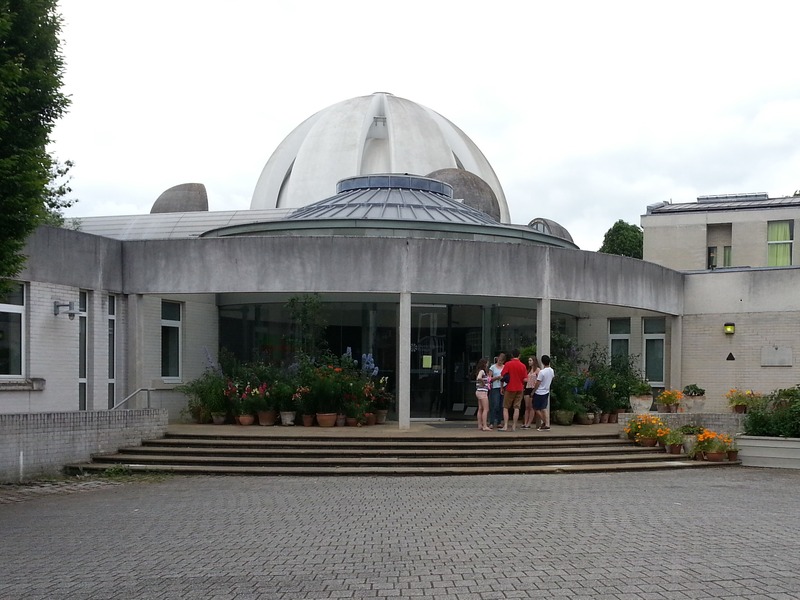 I was very excited to be visiting Murray Edwards College. Like the British Library; there are no pens, food or drink allowed anywhere near the precious materials kept in the archive and quite right too. Some manuscripts are very old and need to be kept safe for future researchers. I can’t share my findings because I signed a copyright disclaimer and I would have to have permission before publishing anything on the Internet or elsewhere. Plus my research is in the early stages so I don’t have that much to share just yet. I had a copy of Island alongside the manuscript so that I could compare the changes. In some instances characters from the first draft had completely disappeared from the final edition of the novel. At times Nikki is full of fear and tells the reader this is because her mother never held fear for her. Taken into care at a young age, adopted, rejected and then dumped back with Social Services, Nikki never had a mother who watched her play in the playground fearful she might fall and hurt herself. So when Nikki falls, she can’t get back up. She also falls through the holes in the net at university with no care, nowhere to stay in the holidays, and no money. Whilst I was reading the files and the novel, I kept wanting to tweet to the world; look, it happened then and it’s still happening now. Although Island is fictional, Rogers used to work in children’s homes and therefore presumably learnt a lot about children in care. Children are still being forced to leave residential care at 16-18 (see ECLCM) without corporate parental support. In many instances, they are just not ready to deal with all that the world chucks at them: rent, energy bills, food, caring for themselves, holding down a flat and a job. Nikki Black is angry, angry with her mother, angry with a system that totally failed her. Whilst sitting in the Rosemary Murray Library, I was aware that I was sitting at a desk that quite possibly had once been occupied by some of the finest minds in the world (in this instance most definitely women – Edward Murray College undergraduates are all women). I thought I might be nervous about the visit and meeting the archivist. 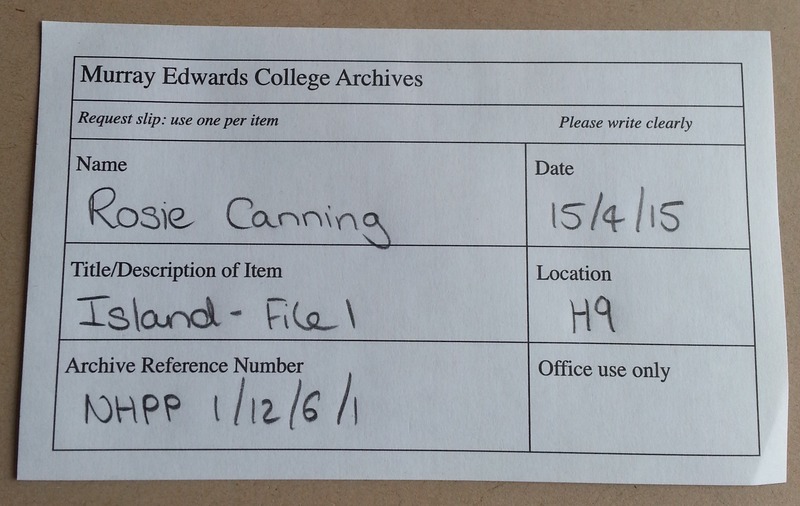 I needn’t have worried, everyone including the archivist was very helpful and friendly. I had always wanted to visit Cambridge University, though as a young care leaver I knew this was almost impossible. In those days only 1% of care leavers attended university. And now in my fifties, I have achieved one of my ambitions. On my way out of the college I noticed some photographs of prominent people on the wall. One was Dame Barbara Stocking who attended the college 1969-1972 and is the current President. Dame Stocking attended a state school and was the first person in her extended family to go to university. When I read this as well as the very inclusive policy of the college, I began to relax and went to find a secret hideaway in the garden to have my lunch. 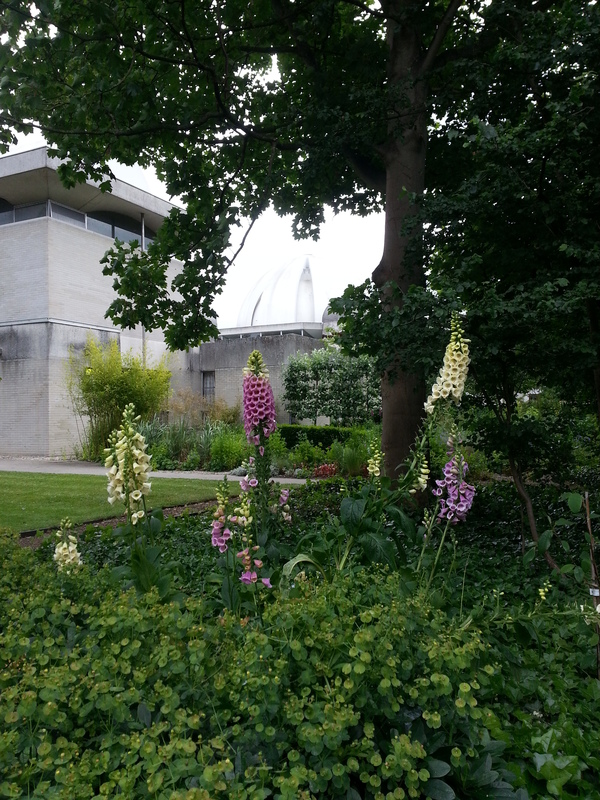 This entry was posted in Blog, Care Leavers, Reviews and tagged Cambridge, Island, Jane Rogers, Murray Edwards College, University. Bookmark the permalink.